Scott Warwick, a CPA, has extensive experience in the administration and compliance of self managed super funds (SMSFs), having worked in the SMSF accounting team at Dixon Advisory for more than 10 years. Scott assists in managing the day-to-day operations of the Sydney SMSF team and is responsible for ensuring clients receive the highest quality administration and compliance service by mentoring, training, and overseeing a team of Superannuation Managers. According to Scott, providing clients with a quality, personalised service and giving them access to their own specialist Superannuation Manager with expertise in SMSF accounting and compliance helps set Dixon Advisory’s service apart. “Combined with investment advice, the SMSF Accounting and Investment service is a comprehensive package that allows SMSF trustees to focus on making decisions in relation to investments and structuring,” Scott said. Originally based in the Canberra office, Scott transferred to Sydney in 2007. The Sydney office now administers 1,500 of the 4,500 SMSFs administered by Dixon Advisory. Before joining the firm in 2004, Scott had five years of experience in various roles providing accounting, taxation and audit services to small-to-medium businesses and government entities. 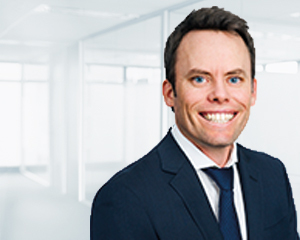 Scott has a Bachelor of Commerce degree from the University of Wollongong and is a qualified member of CPA Australia. Scott has a Graduate Diploma in Applied Finance and is a registered tax agent.